Could you identify a chromosomal condition that touches one in every 2,000 female births globally? Turner syndrome was a mystery until the condition was first described by Dr. Henry Turner in 1938. This true story, written from the heart of a mother, will take you on a journey when touched personally in 1984 when receiving word her daughter was one of the 2,000. Little was known about the condition leaving this family ill-equipped to know what actions to take or how to educate medical professionals with the long-term attention desperately needed. Ignoring the condition did not make it go away. Only by their strong faith were they able to walk through the ups and down of uncertain times. Yet the question still remains today – are we any closer to eliminating ignorance? 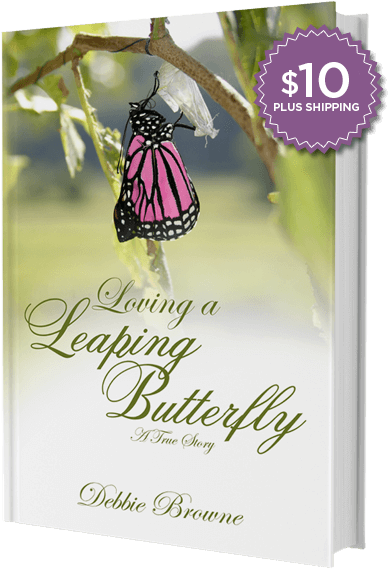 Debbie is the CEO and Founder of Leaping Butterfly, Inc., a ministry to support those within the Turner syndrome community. She continues to raise funds to provide awareness, research, and support. Debbie now resides in the beautiful Hill Country of Austin, Texas with family.